After a spectacular celebration of the Centenary of the Fédération Cynologique Internationale, those of us who sit on the General Committee of the FCI set ourselves the task of carrying on with our work for another hundred years of services dedicated to dog lovers all over the world in an atmosphere of companionship and with a team working on targets which have been set with the aim of getting straight to grips with the challenges of the future. One of the great challenges we face, in all Sections of the FCI, Europe, the Americas and the Caribbean, Asia and the Pacific, the Middle East and Africa, relates to laws which set out to restrict dog ownership and declare many of our current breeds to be dangerous. I am aware that all of the Sections of the FCI are engaged in legal battles either to prevent these laws being passed or to repeal those which are already in force. The Austrian Kennel Club is experienced in organising big events (two World Dog Shows in 1976 and 1986, two European Dog Shows in 1999 and 2005 and its 100 anniversary in 2009). What are the similarities and differences between those events and this year's World Dog Show in Salzburg, in terms of organisation? The Austrian Kennel Club (ÖKV) indeed has a wealth of experience in organising such major events as a World or European Dog Show, but the 2012 World Dog Show in Salzburg is set to go one step further. With 20,000 dogs on show, entry levels are expected to be twice as high as for example the 2005 European Dog Show. But our IT system has in the meantime been upgraded, meaning that some 80% of entries are now done online. Moreover the information flow can be handled much better via the WDS website and Internet. The information centre will be available on the website some 14 days before the start of the WDS. On it, exhibitors will be able to find for instance maps of the halls, the numbers of the rings and when judging starts. Austria is a founding member of the FCI; is there any particular dimension reflected in the organisation work of the WDS? The 2012 WDS was awarded to Austria by the FCI General Assembly in Mexico in connection with other FCI centenary events. Obviously we will be mentioning the FCI centenary. Can you tell us about the choice of the venue (Salzburg) and the date (18-20 May)? Salzburg was chosen because of its international reputation and its geographical position in the centre of Europe. The weather in mid-May in Salzburg is generally good, with early-summer temperatures of 20°, although no-one can rule out “Schnürlregen", those short sharp showers Salzburg is famous for. The WDS in Paris was the biggest entry ever in the history of the FCI. What about the entries for Salzburg? It is by no means our intention to attract a record number of entries. Our intention is to provide a perfectly organised show. Current projections point to 20,000 entries, a figure on which we are basing our planning. How many countries will be represented? How many breeds? 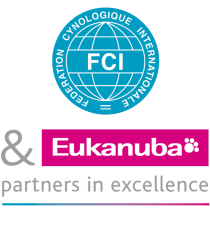 We are currently expecting to welcome dogs from 60 countries and belonging to 310 different FCI breeds. Will there be other competitions besides the International Dog Show? There will also be the Junior Handling event on the exhibition grounds, as well as the World Championship in Heelwork to Music und Freestyle. The Obedience World Championship will be taking place in the Salzburg Ice Arena, and in Anif, some 15 km away from the show centre, the ÖKV-affiliated clubs will be holding their club-winners' show, in which the "World Club Winner" title will be awarded. Can we expect any surprises, special guests, special prizes? We hope to be able to provide an attractive supporting programme in the main arena. Alongside cynological events we will also be giving visitors a musical impression of Austria's culture and traditions. The music will range from classical and jazz to folk music and folklore. Who is the BIS judge? FCI President H.W. Müller! Here we have undoubtedly been able to engage one of the best and most experienced BIS judges. Would you like to make any special announcement? As with all major dog shows held in big cities, we can expect traffic and parking problems. Together with the exhibition management and APCOA, the car park operator, we have developed a traffic concept. Dog owners not allocated a parking space directly on the exhibition grounds will be allowed to drop off their equipment and dogs in the unloading lane in the care of an accompanying person before parking on one of the reserve car parks. They can then use the shuttle service operating between the exhibition centre and the car parks. We will of course be permanently updating our programme and I would therefore ask all exhibitors and visitors to keep an eye on the latest developments. I would like to end by inviting all dog lovers and everyone else interested in dogs to the World Dog Show in Salzburg, in the hope that all exhibitors and visitors will enjoy their stay in Salzburg. You can count on our renowned Austrian hospitality!